just hope that her return is handled better than michael's. damon and carlton know how to write a finale. overall, i loved it. solid. visually inventive. plot-driven. emotionally resonant. and this is just the beginning of the payoffs yet to come. written by: damon and carlton. 1. locke, ben, and hurley are on a mission to the orchid station to 'move' the island, which i'm thnking will reactivate whatever it was that the failsafe disengaged regarding the island's electromagnetic 'shielding.' 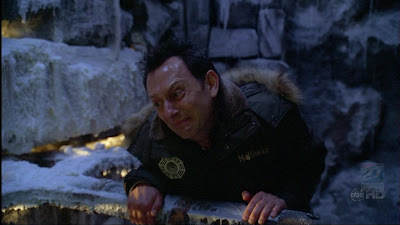 though we -still- don't really know exactly what happened in the season 2 finale other than causing a little blip in the portugese snow station. 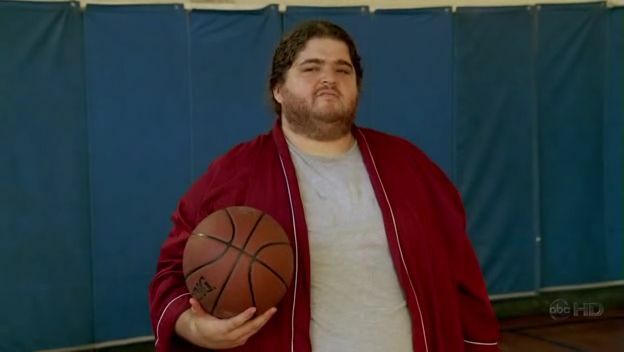 i'm totally stumped how hurley might end up being part of the oceanic 6 from this point. it stands to reason that jack and sawyer will converge upon the proceedings, and they're doing it specifically to save hurley, so that surely has something to do with it. hurley: his flashforward showed us that it didn't take long for the island to start exerting it's power on him. starting with the ominous other-whispers as he approached the surprise party - i'm sure someone's slowed down, reversed, and isolated those whispers and can tell us if they are indeed strange other-whispers, of if they're surprise party chatter, saying things like "hide hide he's coming!" 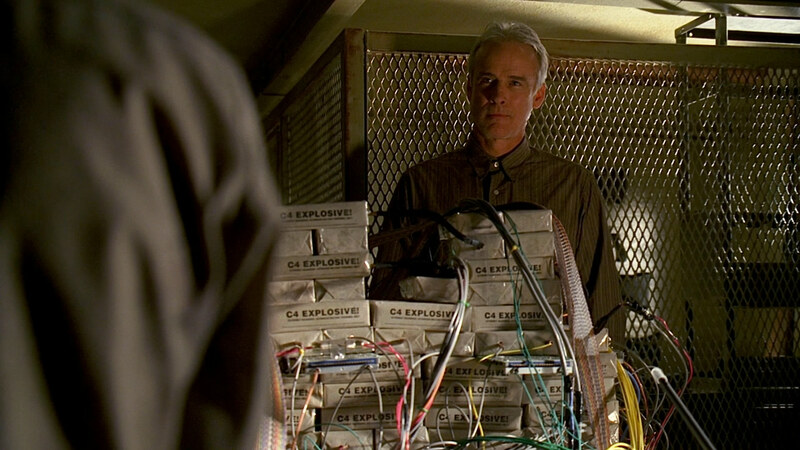 other than that, hurley's bit of the story didn't give us much more, but it did bridge an important gap between rescue and the opening shot of the season, where he careened in his father's car through a pile of guavas. one thing we still don't know about hurley, is why he said 'good' to sun, when she said that none of the other 6 were in korea to see her baby. 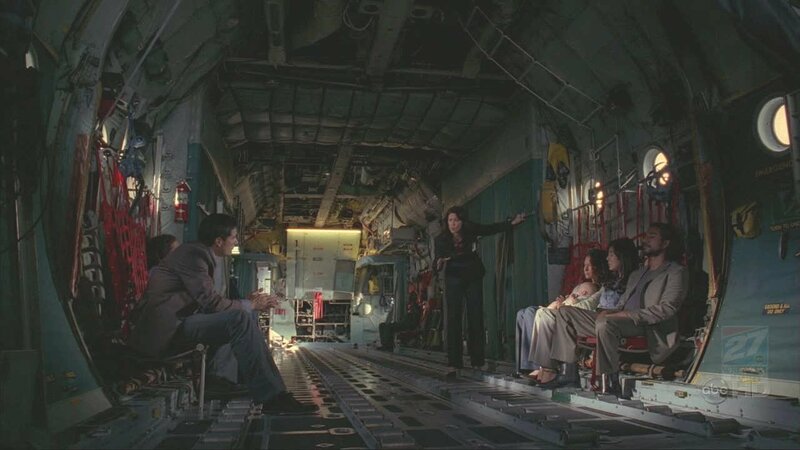 and while we're talking about opening shots, i want to discuss the opening shot of this finale, which was a direct callback to a very similar shot in the series pilot - a shot of clouds that pulls back through a window to reveal that we're on a plane. in the pilot the camera pulled back for jack's flirtation with cindy, where she gives him a few more bottles of liquor (an exchange that was riffed upon in last year's finale). but the choice of shot is important because it reminds us that this is the first time these people have been on a plane since that first, very similar shot. ben: some great ben moments in this episode, though his 'i always have a plan' line bordered on scenery chewing. loved the 15 year old crackers line. a great way to embed exposition in organic character moments. it reveals that it was probably the last time the orchid station was used to 'move' the island. and who was he flashing the mirror to? richard alpert? locke: i'm expecting a big revelation regarding locke this week. it's going to tie into his flashback episode, and it's going to relate to a realization that he has met richard alpert before, and it's going to have something to do with being the true 'chosen one' for the hostiles/others. beyond that, i really have no idea. 2. jack and sawyer. ok here's what we can expect to see this week from these two guys. 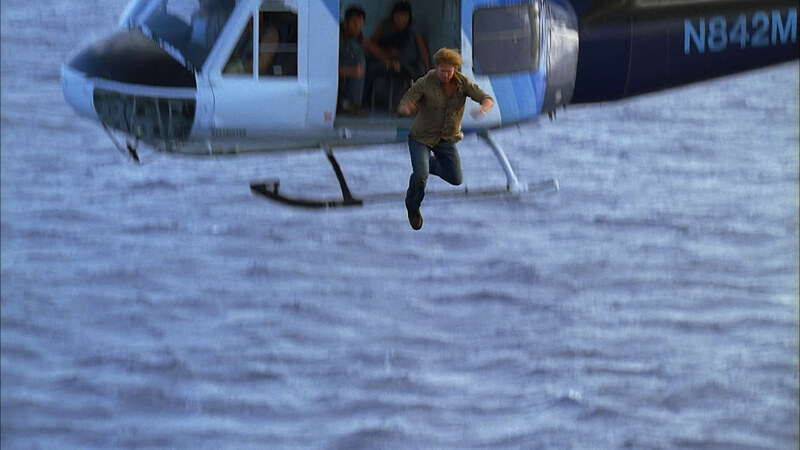 jack: we will see michael complete his island mission, three years later, and then finally, successfully kill himself by hanging himself in los angles. we will learn that he is in the coffin, and i will rejoice. the next day jack sees the article in the paper and understands that something has changed, if michael was finally able to die. this prompts jack to attempt suicide himself, but 'fate' intervenes, and prevents him from doing so. i'm guessing that this week's episode's second-to-last scene will be last year's final scene, played again, only this time we have full understanding of where the characters are. the final scene will be when locke pulls the timeshift lever at the orchid station, and makes the island jump ahead in time three years. of course the other major plot point was that we finally got our moment of discovery from jack regarding claire. the scene was handled wonderfully. i love when dramatic impact comes from seeing a person react to something. 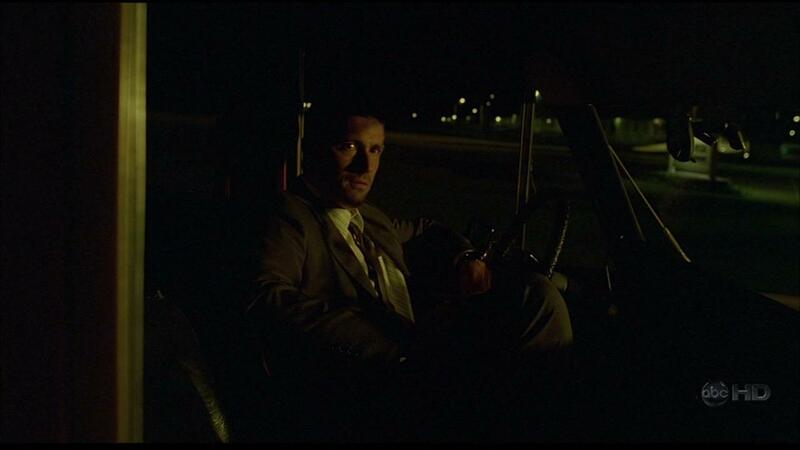 there was nothing actually surprising about the scene, but similar to desmond's cathartic phone call to penny, this is a scene we've wanted to see for a long time, and one that the actors get to sink their teeth into. just fantastic. and now we know that when jack yelled at kate 'you're not even related to him!' he certainly was twisting the knife. 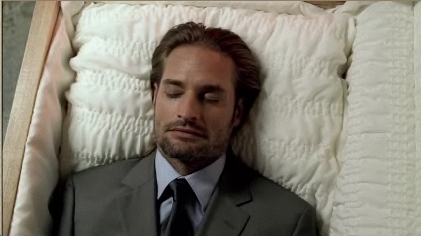 sawyer: sawyer really got shortchanged this season. he didn't get an episode, which makes me wonder if he's going to be around much longer, or if they're saving him for later. they closed his 'mysterious letter' story arc last season, so unless they build a new arc for him soon, i wouldn't be surprised if they sent him the way of charlie - but probably not until early next season. the one big sawyer plot point of course is finding out what favor he asked of kate. i still think that it was to find his daughter, though why kate had to wait 2 years to finally do the favor makes that one a bit strange. sun & jin & aaron: the slow motion with music section capping off this episode really made it clear that the great divide separating sun and aaron as oceanic 6 is probably going to happen pretty quickly. my guess is that the freighter blows up, and the sun is on the raft for some reason, perhaps as part of an evacuation from the freighter. 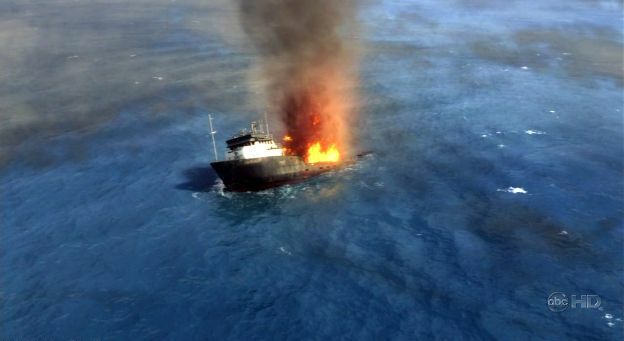 i suspect that sun watches the freighter explode from the raft, and jin is still on it. sun believes that jin is dead. we'll find out later that he survived, and their act 3 story will be about reuniting. rob and jeff jensen were quite irritated by the size of sun's (and the 6's) 'settlement' being enough to purchase a controlling interest in a company the size of her father's. i so didn't care or even think of it. i just loved watching her bitchslap daddy. it was sun's joan crawford, 'i'm taking over pepsi cola' moment. desmond: will desmond die soon? the poor guy hasn't had anything to do since 'the constant' but look concerned. it would be a major dramatic mistake to have desmond die before he has a chance to discover/intercept/be destroyed by ben's plans to hunt down and kill penny. 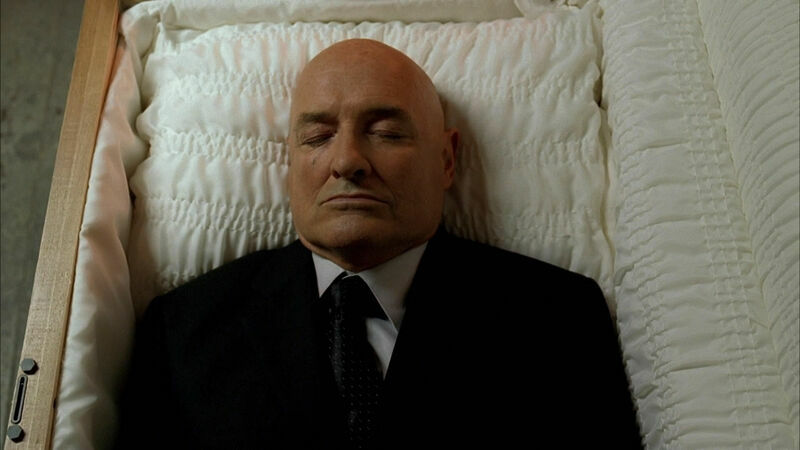 michael: like i said above, michael is in the coffin, and his flashforward will tell us what his 'work' was, show how he got off the island despite not being an oceanic 6, show us his death, and put him squarely in that coffin. it seems to be the only person that makes sense. i'd love to be wrong though. but i'd also like to see michael dead, so i'd also love to be right. 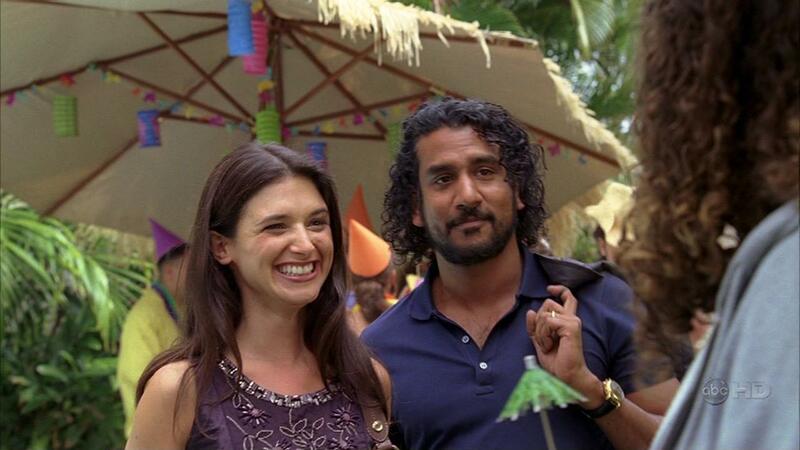 4. kate & sayid. both of them have been cornered by alpert and the hostiles/others, and are being marched off somewhere, perhaps to the orchid, led there via ben's mirror flashing? i got really excited seeing the others as a group again, because it means that yes, next year is probably going to be about finding out who the hell they actually are, and yes, it will have something to do with the 4 toed statue. kate: in the future, is kate truly where she needs to be? is she at all haunted by the island? is it going to come for her and sun eventually? will she start having visions of her horse again? will she be wearing pants again? 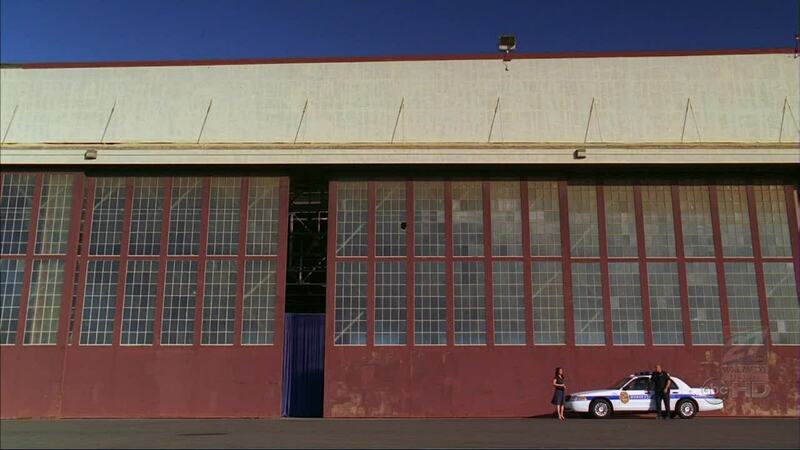 sayid: sayid's story got one of my favorite shots of the episode, the wide shot of the outside of the press conference hangar, where he finally, after so long, reunites with nadia. a scene made ironically tragic, knowing that she's gonna be dead in just a couple months. it was really weird seeing the island folk at hurley's surprise party, wearing polo shirts and looking normal. i think this week we'll be seeing nadia get shot down at that best buy on labrea and santa monica. 5. other stuff: abc is rerunning part 1 this thursday before the new episode, and they are rerunning it with a special extended press conference scene! in the podcast damon and carlton said that many more questions and answers were shot, but they just could not get all of them in. looking forward to seeing what new tidbits of information they're gonna throw at us. cool details: geronimo jackson makes another appearance. i've loved michelle forbes since 'swimming with sharks' and 'star trek: tng.' so great to see her on battlestar, lost, and 24 - the best serial dramas on tv. 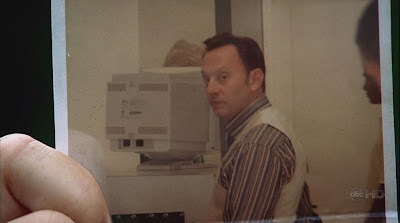 'my name is benjamin linus. i believe you're looking for me.' shocking only because the boom came so soon and unexpectedly. the episode moved so fast. it was over so quick. but again, ben gets the best preboomers. i think he had about half of them this season! given the break in scheduling, my recap/analysis of 'there's no place like home, part 1' will not post until next tuesday. see you then! written by: the sarn & kyle pennington. who the hell is kyle pennington? he wrote and directed one short film. 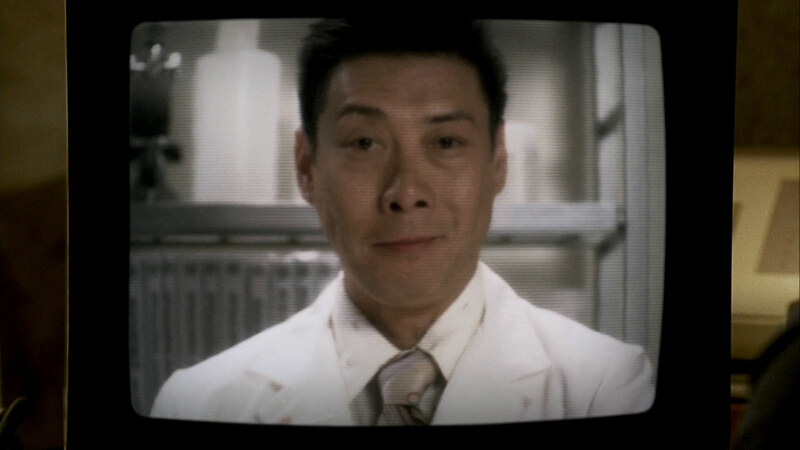 now he works on lost. pardon me while i go track down kyle with my tonya harding lead pipe of jealousy. directed by: paul edwards. he hasn't directed an episode since claire's 'par avion' last season. hrm. alpert's presence at locke's birth kind of rubs me the wrong way for two reasons: convenience and logic. i'll talk about the logistics in #3. i understand it as a plot point, and as part of building the larger arc of locke's character going into the final act of this story, but the rapid execution here feels tacked on, much like ben's affection for juliet was conveniently tacked in in her flashback so as to drive the events of the episode. while i'm not crazy about the execution - we needed earlier clues that locke has been loosely pursued by dharma/the others/the hostiles/whoever since the moment of his birth - but let's talk about what it means. alpert's test is reminiscent of the test given to children when searching for the reincarnation of the dalai lama. so, who are the hostiles (or is it actually dharma at this point? very confusing.) searching for, and what role is this 'special' person supposed to play? what is the significance of each object? why does alpert get so disappointed when locke chooses the knife? it's in keeping with locke's character is that he's never able to accept who he is - he insists that he is a hunter, not a farmer, even while being unable to kill a traitor in 'further instructions,' and he vehemently rejects science camp! 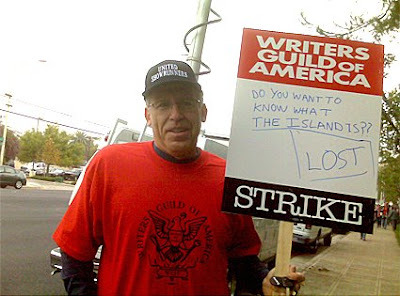 it's not until dharma or widmore or whoever come up with the idea of playing into who he thinks he is, that they get him in place to arrive on the island. comic book - brings to mind the spanish comic book hurley had in the series pilot. knife - inextricably linked with locke's iconic knife throwing entrances. compass - tracking, direction, headings, bearings, all big themes/elements on the show. sand - probably directly from the island, to determine a child's innate connection with the physical place. book of laws - probably an important choice for someone being groomed to rule over a society. baseball glove - yeah, no one's gonna pick the glove, except maybe jack. 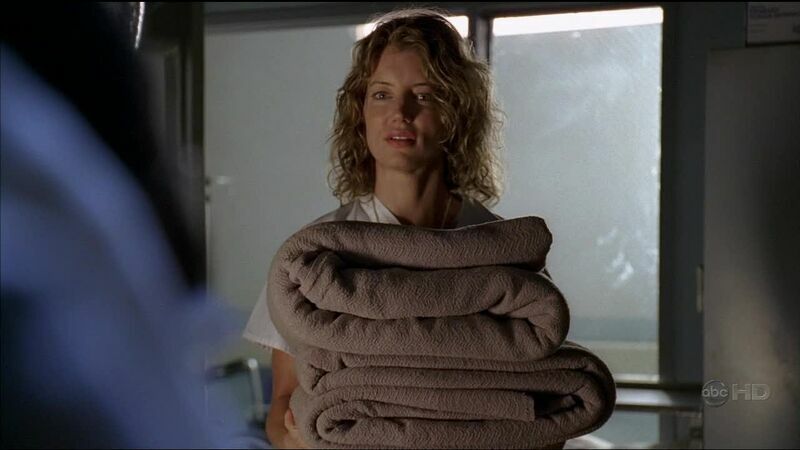 it brings to mind the 'tests' that mrs. klugh told michael they were giving to walt. were they testing walt for the same thing? and why was it decided that walt needed to be taken off the island? 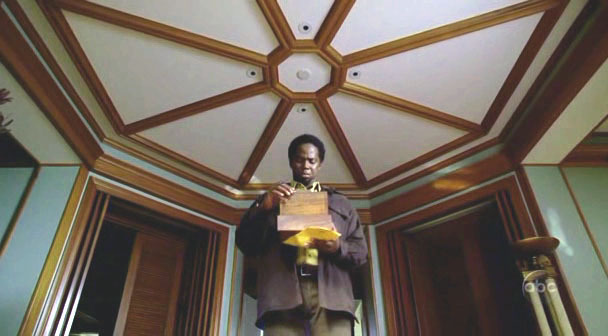 did they discover that walt was the antithesis of whatever it is they were looking for? 2. horace and his wife were present at ben's birth outside of portland oregon, and it's horace who reappears in locke's dream - why? we're being reminded of the 'heralds,' who just happen to be present when these 'special' children are born. will we get a similar flashback at walt's birth, where we discover that he was also born 3 months premature, and that alpert, or someone of his ilk was also present? and what is the significance of being born premature? are there other factors that make you a candidate to be 'jacob's go-to guy?' horace's arrival at ben's birth (ben was born 2 months premature) seems to be more accidental, but i suppose it could be retconned to make the coincidence look more deliberate - as though outside forces have been watching and waiting for 'the one' for a long time. may 30, 1956: locke is born 3 months premature - richard alpert is present. 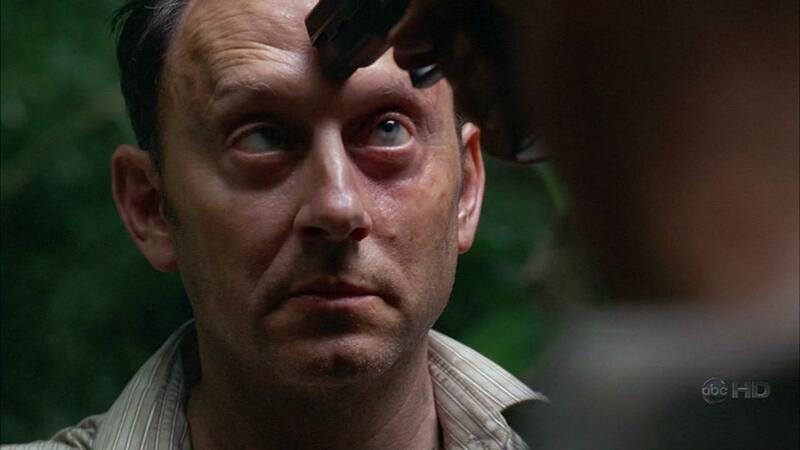 1960: ben linus is born near portland. horace and olivia goodspeed are present. 1972: mittelos laboratories attempts to recruit locke to their science camp near portland. 1970's: ben, following the vision of his mother, meets richard alpert, outside the dharma camp. december 19, 1992: ben, with the assistance of the 'hostiles' purges dharma from the island. 2000: abaddon is locke's physical therapist, urges him to go on a walkabout. i'm just going to unload all of my questions at once here - at the time locke is born, is alpert part of dharma? and in 1956, is dharma owned by widmore? if alpert isn't part of dharma, is he part of mittelos bioscience (then called mittelos laboratories)? but then are mittelos and dharma two entirely separate institutions? or is mittelos an off-island proxy for dharma, as we can assume from events in 'not in portland?' if mittelos has always been part of dharma since the 70's shouldn't it be pretty easy for widmore to infiltrate island business, since it's still operating and able to recruit juliet? if alpert is one of the 'hostiles,' is mittelos then a separate institution owned by the hostiles? are the hostiles so well equipped? we know that abaddon is widmore's man. at least, he's widmore's man in the flashforward/back events we've seen this season. abaddon appeared twice before: harassing hurley to find out if 'they' were 'still alive,' and in a flashback hiring naomi and briefing her on her mission. so what is he doing lightly pushing locke to go on a walkabout in 2000? the only think i can think is that widmore knows the 'proper' course of events. he acts like mrs. hawking, nudging people towards their destinies. 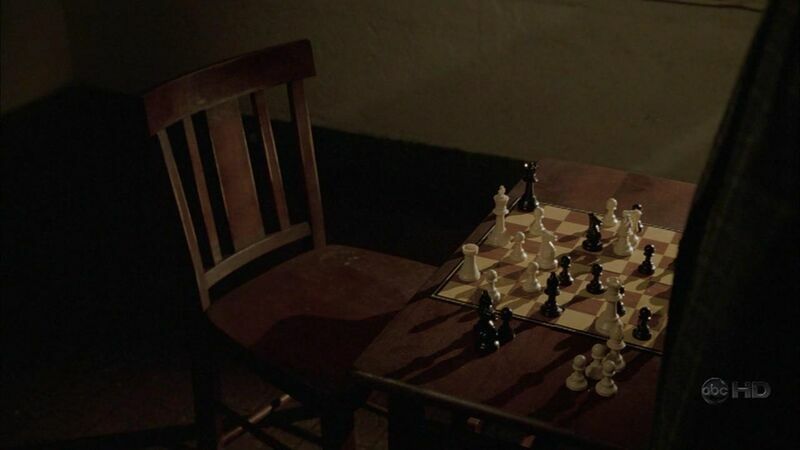 perhaps it's destiny that locke is going to be the 'savior' of the island to unseat ben, but it's the timing that remains in question - so widmore has abaddon track him down and give him the push he needs in order to get his various chess pieces in the proper places. 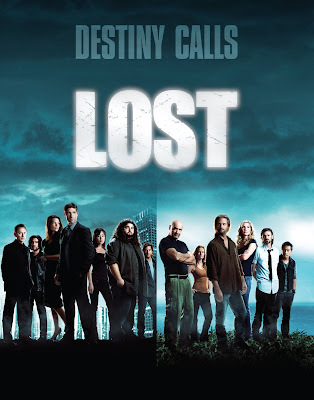 i think the episode works great as a stand alone, which is why many found it quite satisfying (the candy bar scene alone rose it above many other episodes this season), but the deeper logic behind using alpert, mittelos, and abaddon seems to push the idea of a unified theory of lost further into the distance. damon and carlton promised us in the mother's day podcast that we would be seeing claire again before the end of the season. hopefully he strange couple of shots will not be all that we get. is claire dead? if so, how will the jack/claire half-sibling revelation play out? will claire's ghost tell him herself? however it shakes down, it must be sufficiently creepy as to freak jack out enough to not want to go near aaron for several years. is it possible that claire actually died when the house blew up with her in it? - she was ridiculously unscathed after that explosion, but acted more or less like her normal self afterwards - it's not until we see her in the cabin that she looks smug and out of character. it depends on what the rules of manifestation are - it's also possible that everything locke saw in the cabin was an illusion, and the real claire is off somewhere else being manipulated by dad to do whatever it is that jacob needs doing. so yeah. 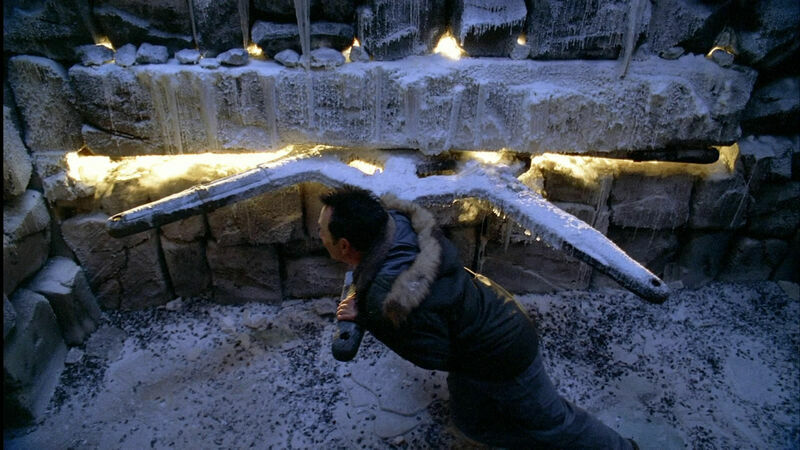 the last moments of this season's finale, dubbed 'the frozen donkey wheel,' is purportedly not a major game changer, but more of a traditional action based cliffhanger ending. which is fine - it falls in line with what this season has been about: changing the rules. we had three seasons of disorienting season openings and game-changing finales. 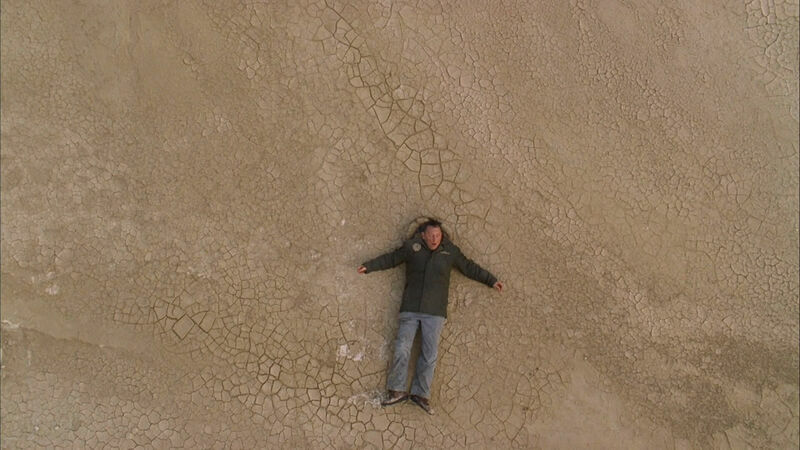 season 4 broke the tradition of the disorienting opener, so it follows that the finale would go out with a similar break in structural tradition. i'm just hoping that they're saving somthing big to go out wth at the end of season 5, and of course, the grand finale. 6. headings. a major revelation of the freighter plot in this episode was the shifting time differential - earlier in the season, the island was ahead of the freighter, but now it seems that the island is actually ahead. but the differential is probably governed by the heading one uses to approach and leave the island. a perfectly straight heading results in minimal distortion - like the 31 minute missile delay from farraday's early experiment. 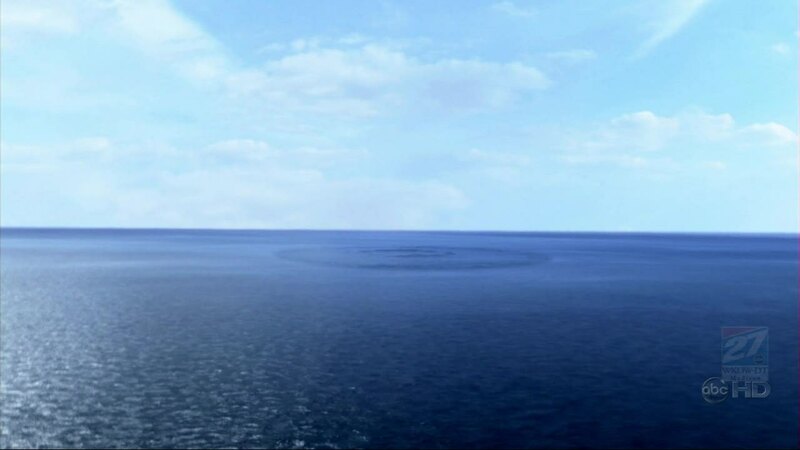 but ray's body would have been floating in the water with no precise directional heading at all, so by the time it reaches the beach, the distortion would be much larger, in this case actually putting the body in the future. it's a fascinating idea.. i just hope that the writers can use it wisely without opening up a giant can of exploding spring-worms that'll never ever get back in that can. is that an mp3 player, or what? 7. preboomer. 'he wants us to move the island.' great preboomer, just great. i'll put money that it means move the island in time, not geography, and it will involve using the orchid station. written by: eddie kitsis & adam horowitz. this season they've written 'the economist,' and 'ji yeon.' so, pretty good track record. 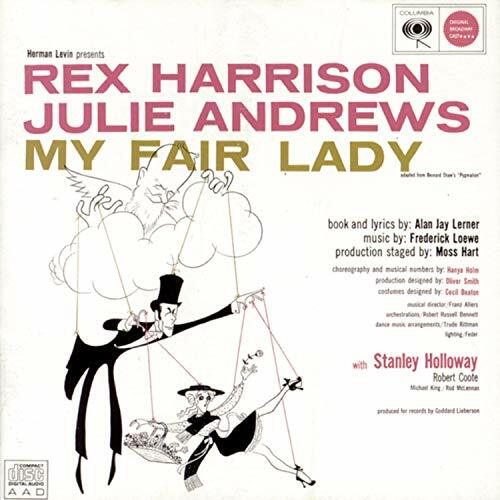 directed by: stephen williams. back in rotation with jack bender. this is season 4's 'hurley's van episode:' it's setup, laying the groundwork for the three-part finale in which many of our biggest questions will be answered (and then of course supplanted by entirely new ones). these are 'put the next disc in' episodes, because when we're watching this show again from the start with our high-school-aged children, we'll be saying: 'put the next disc in.' (really, i think disc switching is probably one of the main reasons to have children.) it's not an earth shattering episode, but necessary, and thankfully, executed as well as we can expect it to have been. 1. rousseau requiem. damn. she's dead. it just cleans out that storyline once and for all, which disappoints me. so much focus was placed on her thread, which played out beautifully over 3 years, that it makes me sad that -at present anyway- it feels like it's been prematurely clipped from the branch. we've still been promised a flashback. here's my guess: widmore himself sent rousseau's science expedition. and she and her crew faced the exact same insanity and weirdness that the current freighter crew is faced with. c'mon, how awesome would it have been to have rousseau realize that the freighter people were hired by her old boss? 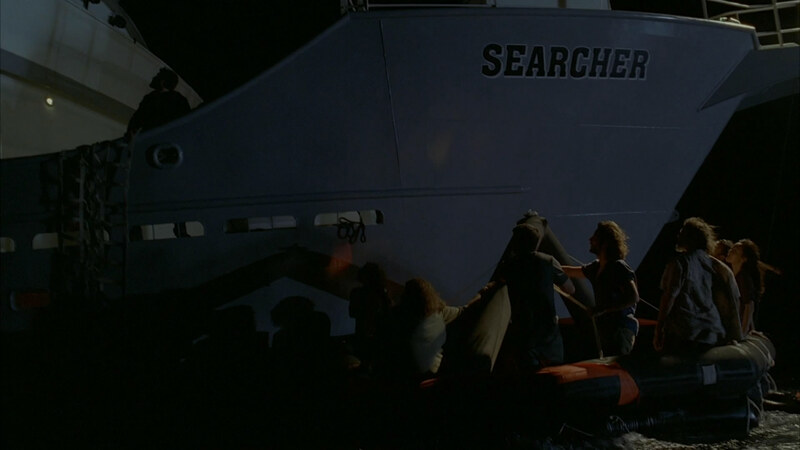 ah well, i guess we'll have that moment without her, in much the same way that libby was killed just before she could be reunited with her boat. 2. auspicious appendicitis. jack's appendicitis kicks in last week at the exact moment that daniel admits that they have no rescue intentions. why? and thank god for rose who asks all the important questions. rose as a character is really just a person sitting at home on the couch next to you who talks back to the screen. thankfully she's in the screen so we don't have to beat her up. rose knows what's up. she knows that things like this don't just happen - rose knows we are in season 4, not season 1, and that there's an end date for the show. we don't have time for random events to pad out a season! we can't stop the show because jack got in a cave-in! every storytelling minute counts, so what is this telling us? i think it has to do with the overall theme of course correction/destiny raised by the desmond plotline, which i'll discuss further in #7.
i enjoyed the surgery scene, mostly because it was great to see juliet get something cool to do. and extra points for gory-ness. 3. creepy christian. jack visits hurley, who's been visited by charlie. 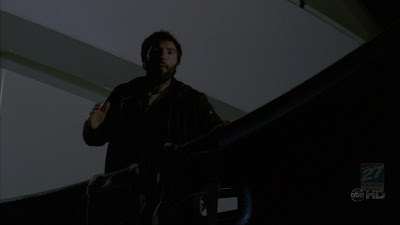 if the monster is able to manifest to people off island, it might make a little more sense why jack, in the cracked-out finale, was shouting at the doctor to 'go upstairs' and compare his sobriety to his father's. but what does it all mean? what the hell are these very corporeal visions? do they relate to jacob? are they jacob? are they the monster? my theory: the visions may not be jacob, per se, but they are intrinsically tied to him. and they are physically present when they appear. when hurley looked into the cabin, he saw christian shepard sitting in jacob's chair. charlie was seen by one of the other santa rosa patients when he came to visit hurley. there were some comments about how christian is obviously actually alive because he's now wearing a different outfit. post-death, we've only ever seen him wear the suit - but why would christian appear to claire wearing what jack remembers him wearing? how cool would it be if christian is in fact wearing the same wardrobe from his one and only visit with claire, the way she remembers him? oh. oh well, that would have been pretty cool though, right? 4. aaron aversion. so this week's flashforward skipped a couple big moments in the jack plot: why did he not want to see aaron? and, what made him suddenly change his mind? why was it such a big deal? is it because he figured out that claire is his sister? is there a scene coming up where christian appears on the island and both jack and claire go "dad!" and then they look at each other and go "hey.. that's my dad." awkward pause. "good thing we didn't hook up, cuz i think the writers kind of made this up later, like luke and leia." there was an interesting, ambiguous tease where jack yells at kate "you're not even related to him!" but it's impossible to tell if he's yelling that as a jab at her, knowing that he is related, or if it's just ironic that he's related and doesn't know it yet. i have a feeling that we will see the jack/claire/dad omfg moment on-island before this season is out. 5. kate has a secret favor to do for sawyer. my guess: find clementine phillips. 6. petulant ployglot. so, charlotte speaks korean. one of the highlights in this episode was jin's all-korean verbal smackdown of big red. is charlotte going to die soon? i kinda hope so. i liked her at first, but now she is the least developed, least interesting of the freighter folk. the truncated season certainly hasn't helped. 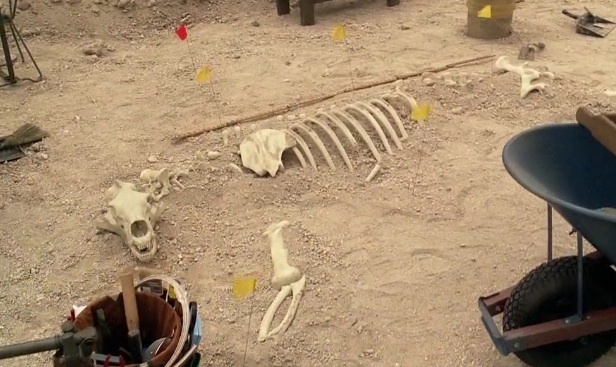 it's a big change of pace, because after 'confirmed dead,' i was most interested in what a 'cultural anthropologist' might bring to the show mythology-wise. based on her job title, i think we can be pretty confident that she is going to survive just long enough to say "egad, it is the great lost city of the four-toed time-travel people. the most important thing about these people is" whap. shot in the back with an arrow. boom. titles. MS. HAWKING: The universe, unfortunately, has a way of course correcting. That man was supposed to die. That was his path just as it's your path to go to the island. You don't do it because you choose to, Desmond. You do it because you're supposed to. DESMOND: I'm going to meet Penny in an hour. I've got the ring; she'll say yes; I can choose whatever I want. MS. HAWKING: You may not like your path, Desmond, but pushing that button is the only truly great thing that you will ever do. desmond later understands ms. hawking's position when he finds himself trying to stop charlie's eventual death. desmond's experience with course correction encapsulates the entire series in miniature. we will come to discover that hundreds of years ago, a major rift in time was opened, probably when the black rock was mysteriously transported to the island. we will also learn that all of the events since that moment have been about destiny course correcting so that this rift can be healed. 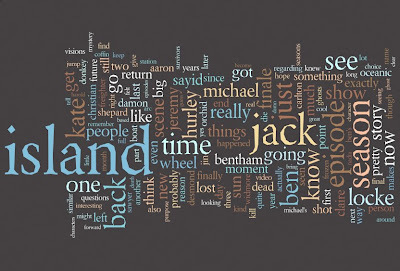 the numbers, the specific passengers on the plane, nearly every strand of the plot, each character's individual story can be seen as building a cumulative cause-and-effect snowball barrelling toward the conclusion, when all is set 'right,' whatever that means exactly - probably that the island is either destroyed, or hidden forever. course correction as an idea is interesting to me because it still allows a person to have free will (widmore can still kill alex), within the constructs of destiny. characters are still able to make choices, but they can't control the universe around them. but here's why i think course correction is such an important theme: it echoes the process of how the show itself is created. it's how the showrunners 'play god' in the universe they've made. they know the beginning and the end, and several key points along the way in that journey, but the filled in bits, the scenes and the episodes have a lot of leeway as to where they can go. some actors may have been considered for major arcs, but then it's discovered that the fans aren't connecting with them. another actor wants to leave the show to do a movie, but can come back once it's shot. perhaps the actress playing penelope is needed, but will not be available until a month later. all of these things throw little wrenches into the master plan, but the story is still hurling towards its conclusion, so a showrunner has to improvise ways to mold the story back into it's basic original shape, so that the endgame, the 'destiny' of it all, still plays out in the proper form. 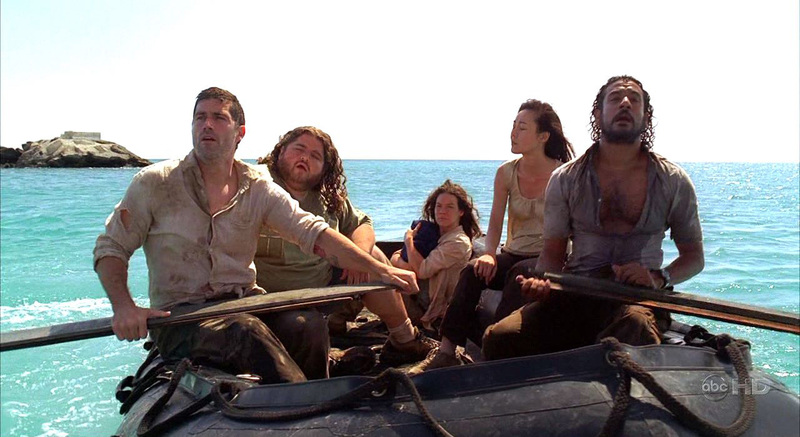 "lost" as an entity is both rigid in structure, but fluid in form - using its own dna as a metaphor for god, echoing the showrunner's limited ability to control a universe of their making. my fiend emily didn't like the idea that jack might have some 'higher purpose' to attend to. i don't think his 'work' is necessarily going to be something grandiose.. look at the lovely job the island had desmond doing for three years, pushing that button..
(summer, 2005) sun gives birth to ji yeon. cries at jin's 'grave.' hurley is happy to not see anyone else. (october 20, 2005) nadia is picked off. 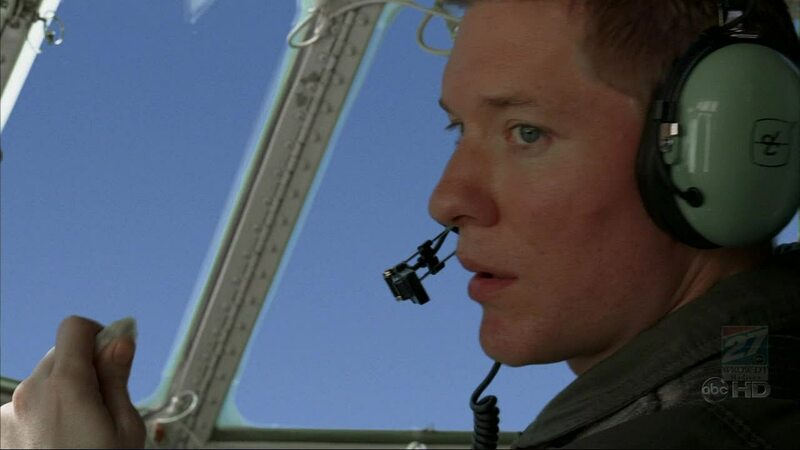 (october 24, 2005) ben arrives in tunisia. 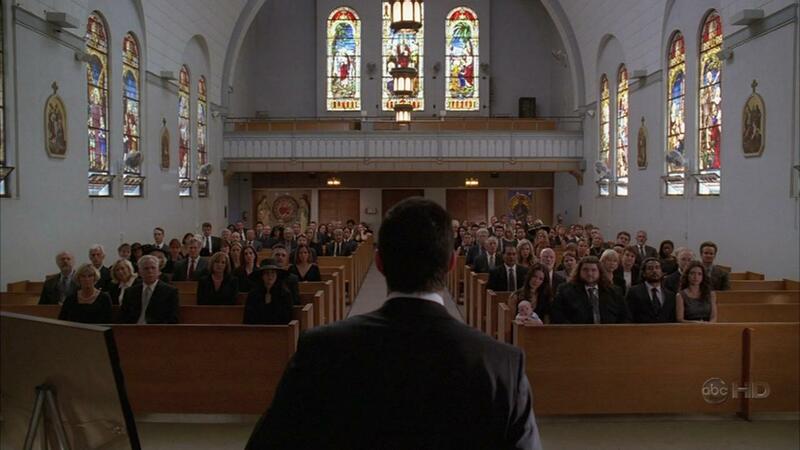 (later, 2005) nadia's funeral, ben/sayid form unholy alliance. ben says to widmore "penny's gonna get it." hurley goes on a bender in his dad's car, goes back to the asylum, has vision of charlie. jack thinks about growing a beard. has screwdriver for breakfast. kate's got aaron. he looks about 2 years old, putting this at 2006. if there was no timeshift. jack can't stand to see aaron for some reason. has hots for kate. jack changes his mind, decides to be aaron's dad, moves in with kate. 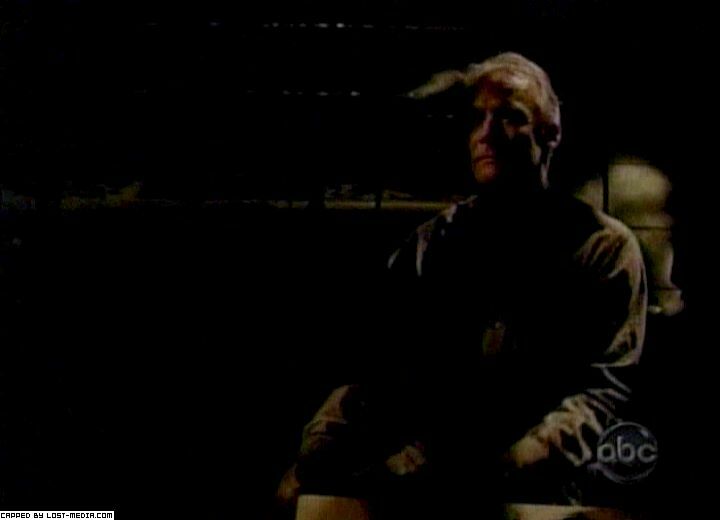 (August 31, 2007) jack starts seeing his long-dead daddy. jack grows that beard. is cracked outta his mind. sees in the newspaper that "j" has successfully committed suicide, which leads jack to try it himself. i predict that this season will end with the same scene, jack again screaming 'we hafta go baaack,' only this time it will have deeper repercussions because we'll know the exact reasons why he/they have to go back, and in that same moment, what was once the future will become the present. 9. disturbing detail. traveling to the future erases your surgery scars. and all your body hair. 10. preboomer. eh. claire's missing again - it's also a mid-action preboomer, one of those that compels you to put the next dvd in. i recommended to friends that if they missed this weeks ep, they wait so that they can watch back to back with next week, cuz it's one of those.